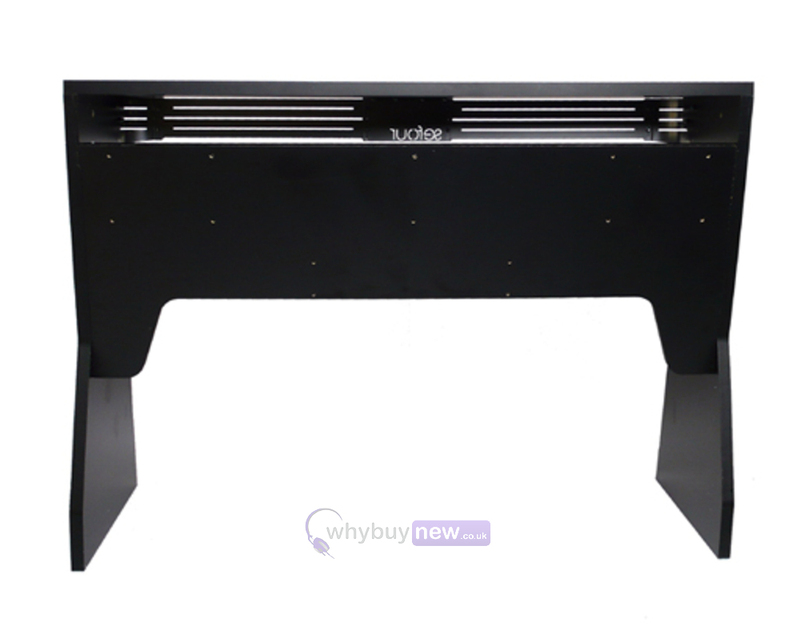 Sefour X60 Black is the complete home studio console for DJs and music producers. 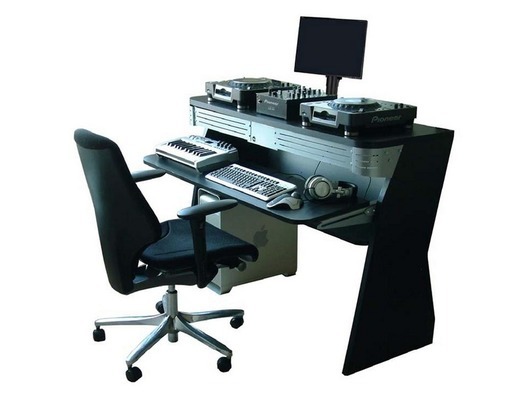 Designed to fit your complete studio or DJ setup, the Sefour X60 studio/DJ console can fit a Mac G5 tower underneath, a CD or vinyl deck setup along with a computer and MIDI keyboard and accessories. 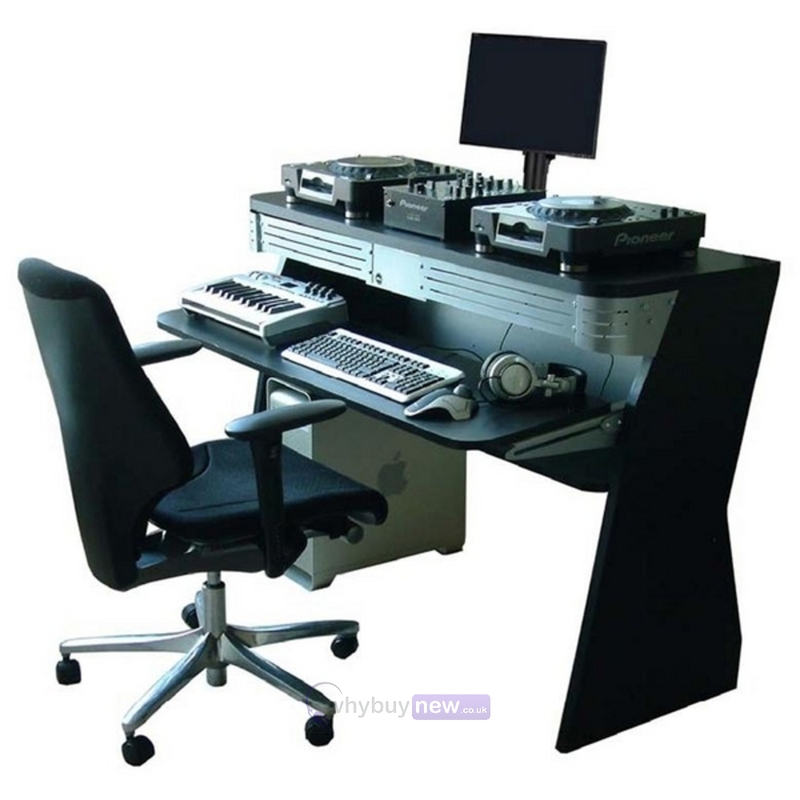 Equipment and chair not included. 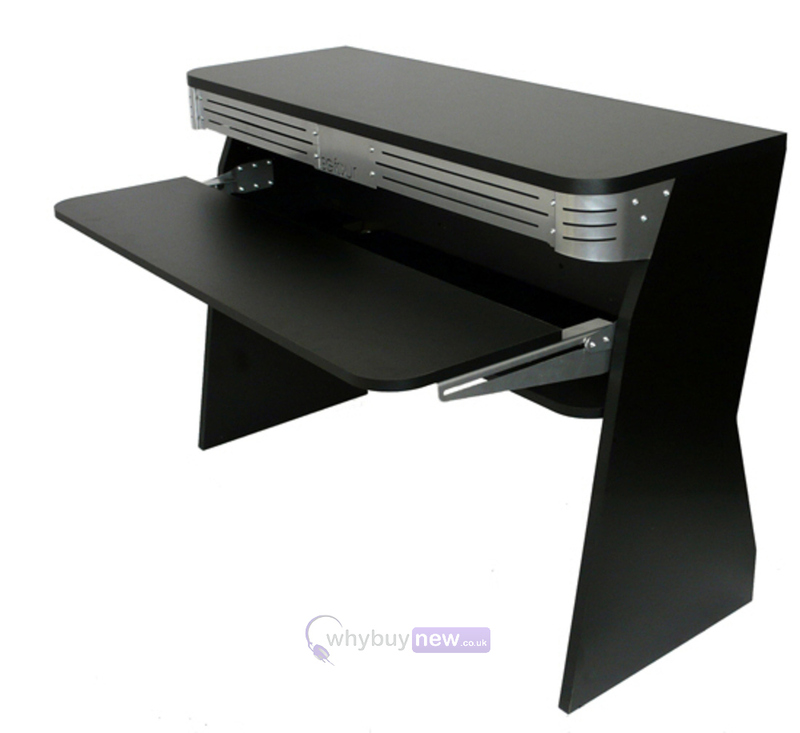 Nice desk looks smart and has lots of usable features i also brought the speaker brackets.